Born in East Texas, Hannah has resided in Central Louisiana since childhood. 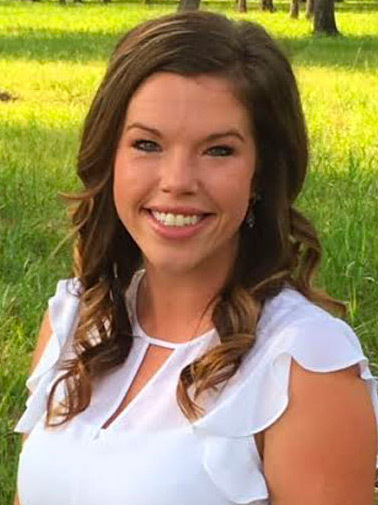 During the completion of her Bachelors of Science degree from Northwestern State University, she interned with the Rapides Children’s Advocacy Center and Rapides CASA. Her passion for victims of assault began while working with CASA. Her internship matured into a volunteer position for the next year. In 2011, Hannah completed her degree with a focus in Child Development and Family Relations and a minor in Social Sciences. Accepting a position at a local not-for-profit organization, over the next four years Hannah became increasingly aware of the need for sexual assault services in Central Louisiana. In May of 2016, when the opportunity arose to help establish STAR in Central Louisiana, Hannah knew it was her chance to again support survivors and initiate social change in her area. As the Central Louisiana Program Director, she is dedicated to STAR’s mission and will work towards the vision of creating a community free of oppression and sexual assault.